Pick up from your beach resort at 5.00hrs and proceed to Udawalawe. This National park situated around the Udawalawe reservoir, spreads over an area of 30,800 hectares. Consisting mainly of grassland this park is famous for its Herds of Wild Elephant, with an estimated population of over 500 living within the park. Sambar, Wild Buffalo, Crocodile are the other larger animals that live here. It is also abundant in its Bird and Reptile variety. 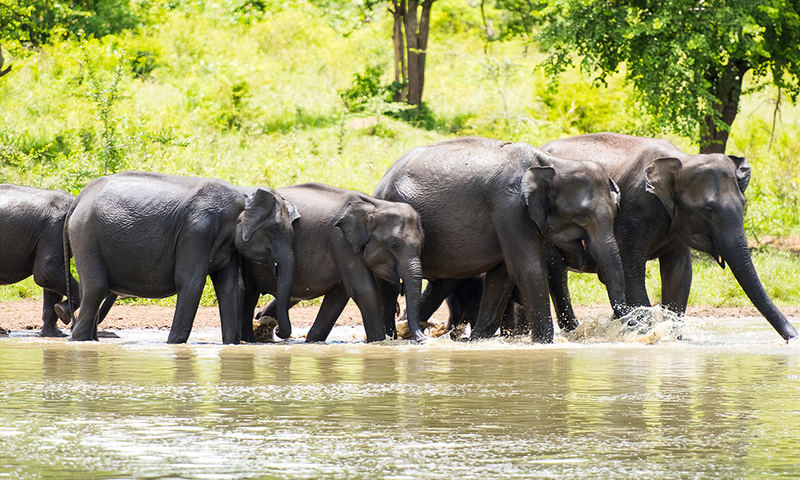 On your arrival set on an exclusive private jeep safari at Udawalawe National Park. Thereafter visit the Transit home for Baby Elephants. This is a refuge for baby elephants, the majority of which have been affected by the tragic elephant human conflict. This incredible project provides food, medical care, and anything else a baby elephant needs. When the elephants are big and strong enough, they are released back into the wilderness to start living a ‘normal’ elephant life. Like any other babies, elephants like showing off, especially when spectators are around so the event can become a great source of entertainment! No:08, 2nd Lane, Dehiwala, Sri Lanka. Copyright © 2018 Beach Holidays in Sri Lanka. All Rights Reserved.